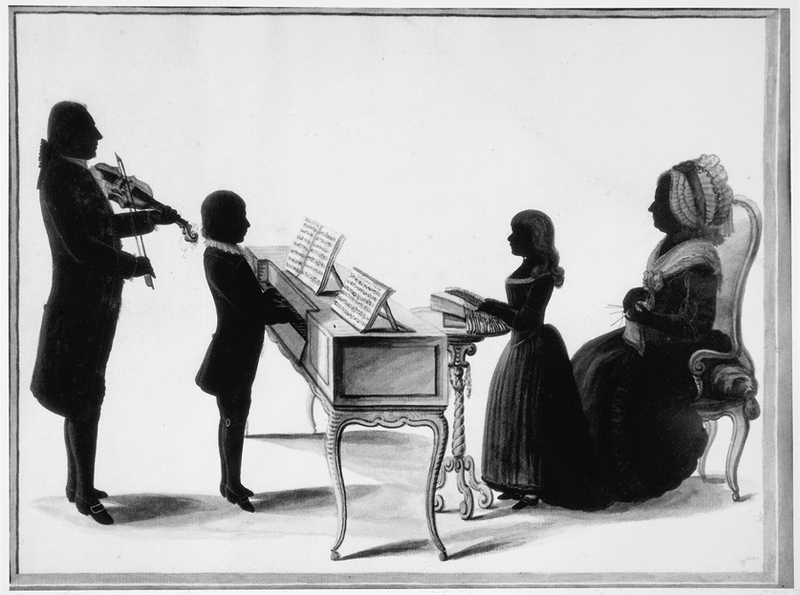 Rousseau, Jakob, Silhouette Portrait of the Family of Burchard Johann von Deneken von Nienlande and Jeanne Esther du Peyrou, 1784. Brush and black ink, heightened with white. Private collection, The Netherlands.